AIM High Team Training: Welcome to the Team! 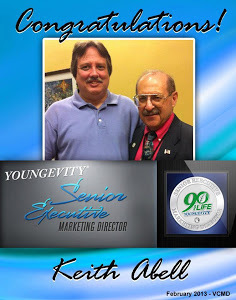 Hello, I'm Keith Abell, Dr. Wallach and I want to welcome you to Youngevity! You are about to embark on a journey, a journey into the home based business world. A journey where you sometimes feel alone and challenged. A journey where you will sometimes ask what have I gotten myself into. Folks if you take the time and delve into this training you will have the success that you desire, the success that you had in mind that has brought you this far. Our goal is to help you along that journey to success and to help you get there. We want this website to be your one stop resource for success from home. It is so important to get started the right way, so that you can experience immediate success! We have a proven system that gets you started and into action from the moment you sign up. The most exciting part of the system, is that you aren't alone! Isn't it nice to know that you will be in business for yourself, but not BY yourself? It's like you have been handed the key to your new business in one hand, and your other hand is being held by your up-line success leader and other folks like myself. You will love the freedom and flexibility that come from being a business owner in this industry. I have spent the last year traveling from coast to coast meeting with industry leaders both within our company and outside our company to bring you the most comprehensive training program I can bring. No matter who I talked with I discovered that it all boiled down to eight basic steps to success. We hope that this training will serve as a road map that will lead you from where you are today to where you want to be. The information contained on this website is designed to be utilized throughout your journey. This training system will walk you through the process of building a successful network marketing business in a simple, easy-to-follow, step-by-step process. In addition to learning the basic concepts and techniques of building a successful business, you will also hear in the audios some valuable life lessons. In addition to this training system I have included videos, links, and other information that will expand upon the ideas presented in the training system and allow you to explore more deeply the concepts presented. Do-Plication Model - This is what we Teach! Our system is so easy to duplicate . . . Yes, I know the spelling above is wrong but I think that duplication is more about actually DOING something. Success comes from duplication not innovation and the question for you guys here is, what's going to happen to the growth of your team and your income if everybody that joined can hear what I share with you guys in this training. If everyone was plugged into the same system.. Immediately. Will that make a difference? I feel like most people that join don't get this information soon enough and I want to be able to get it in their hands as quick as we possibly can. And again I ask you do you want to fail or do you want to succeed? You've got to make a commitment to follow the system to the letter, step by step. Don't skip a step. Don't pick and choose the ones you want to follow. Follow the system exactly as it is laid out. Here are the eight steps. Define Your Dream! Define your dream and have a burning desire for its achievement. That's the first thing you have to do. It's always been the first step and it always will be the first step. Decide why! Make some commitments. You have to get plugged in, stay plugged in. There are a lot of choices when it comes to getting plugged in. Getting plugged in and staying plugged in is an important tool to keeping yourself and your business moving in the right direction. Think of it as an inoculation against the negativity that life will throw at you. Use the products Belief is one of the most important aspects of success. You have to believe in the products. Belief is a major factor in whether people will be attracted to you and your business. 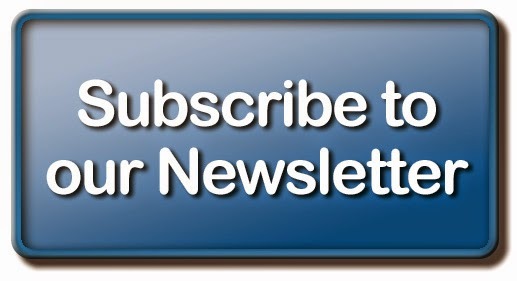 Build an ACTIVE prospect list. You have to know who you are going to talk to and you have to continue to build that list. After you go through your warm market establish at least five ways to create leads. Show the plan Say less to more people. Let the tools do the work. Never let yourself become the story. You can't be duplicatable but the tools can be. Get 50 no's. Get through your warm market as fast as you possibly can. If you are brand new, this is the most important thing to get your business going forward quickly. There's nothing you can do that's more important. Follow up and follow through. Your goal after showing the plan is to book another appointment. Keep them in the funnel until a decision is made one way or another. The Last two steps I call the Go Pro steps. This is where you business begins to grow geometrically. Help the people you sponsor. This is where you Marry Your Prospect. You commit to helping them get started, to help them get their money back as quickly as possible and help them start duplicating. Commit to Personal Development Jim Rohn says, “Formal education will make you a living; self-education will make you a fortune.” We're taught all of our life to go to school, get a good education, go to work for a good company. The reality is that that's not how you create wealth. It's about self-education. To be truly successful you must immerse yourself in self-education. I'm asking for a commitment. If you're listening to me, here's what I'm asking you to do, Follow these eight steps in order. Don't skip one. When you get to step 5 commit to getting 50 no's. Get 50 no's as quick as possible. Try to get 50 no's in 30 days If you can get 50 no's in 30 days you will have more going on than you can possibly keep up with. You will, no matter what your experience level is. No matter what you know, what you don't know. No matter how many questions you can.answer. If you get this program in front of 50 people quickly, there's going to be enough people that are gonna see it. No matter what your experience level is. And I've proven it. We're in the right place at the right time. Listen to me on line, go back through this. Listen to it until your sick of it. Get it in your mind through repetition. All the six steps and then when I meet you, and you say yea, I talked to 50 people in 30 days and it didn't work. Please do that for me with a straight face and then we'll take it from there, because I know. I know what I know. Get it in front of 50 people and you're going to have success. If you're not willing to do that then you probably shouldn't have joined in the first place. . . 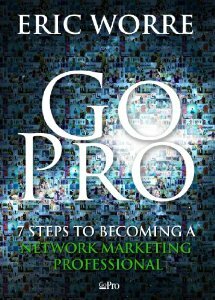 In this definitive guidebook, you will learn to: -Find prospects -Invite them to your product or opportunity -Present your product -Follow up with your prospects -Help them become customers or distributors -Help them get started right -Grow your team by promoting events -And much, much more. Eric s wish is for you to make the decision to become a Network Marketing Professional. For you to truly Go Pro. Because it is a stone-cold fact that Network Marketing is a better way. Now lets go tell the world. CCXIII AIM High Consulting. Travel theme. Powered by Blogger.